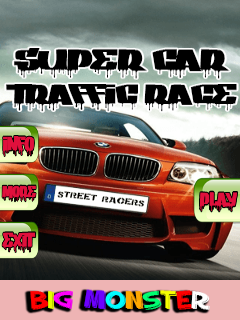 Here come the awesome traffic game of 2015 Super car traffic race. Change the track at the right time to survive in highway traffic. This is ultimate fun game to play and pass your time. Score as much high as you can. Download this ultimate fun game for FREE now! How to play/ Key features: * Move up button to score high * Beware from enemies to survive * Awesome game play * Beautiful graphics * Download it for Free! !